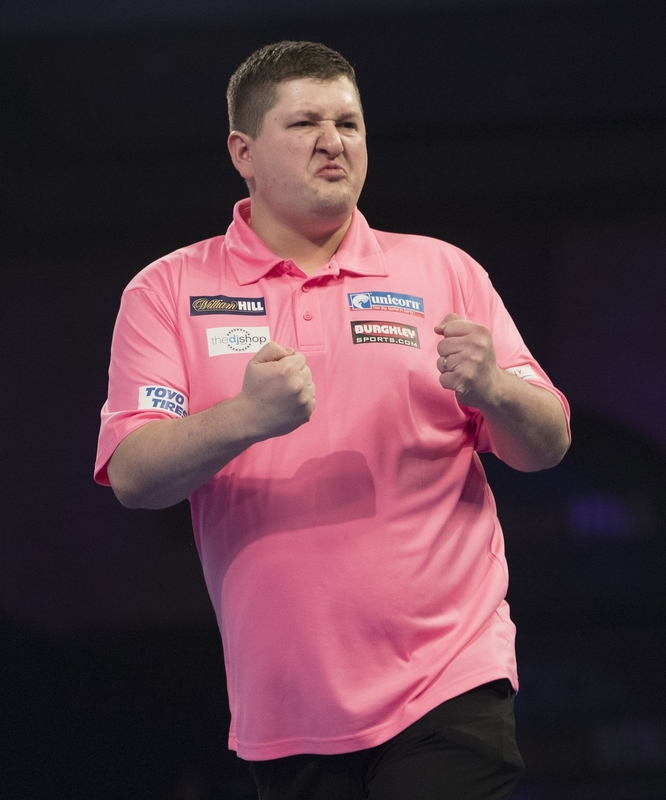 Keegan Brown has set up a mouthwatering all Unicorn 2nd Round clash with Jelle Klaasen at the World Championship. A 95.7 average with six 180s was enough to take him to a comfortable 3-0 win over Karel Sedlacek on Saturday night at the Alexandra Palace. When he was good, he was very good but Brown was the first to admit he needs much more consistency in his game. Brown of course beat James Wade at the Ally Pally last year and reached the last 16 before losing to Phil Taylor. He likes the big World Championship stage. He took the opening set in a deciding leg with a brilliant 11 darter against the man from the Czech Republic. Brown then came from two legs down to win set two with a superb 12 darter. Brown found some range and despite missing three darts, including the bull for a 170 to win the match, he then nailed a 6th 180 followed it with a 165 and won the match on ‘tops’. Job done and time to prepare. That Unicorn showdown with Klaasen is next Friday night. Elsewhere on day three of the tournament, Michael van Gerwen recorded his 14th consecutive World Championship 100+ average as he beat Alan Tabern 3-1. But he was made to battle for the win and will face German ace Max Hopp in the 3rd Round.